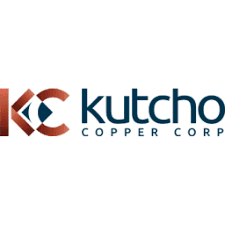 Kutcho Copper Corp. (TSX-V: KC) (OTC: KCCFF) is pleased to announce initial resource expansion drill results from the Main deposit at its 100% owned Kutcho high grade copper-zinc project located in British Columbia. Hole KC18-282 extended mineralization 50 metres down dip from previous drilling and beyond the existing resource model. The Main deposit remains open down-dip in this area and along strike over a 250 metre distance where KC18-268 (assays pending), KC18-282 and KC18-285 have all intercepted mineralization. True width estimated to be 85% length of intercepts. *CuEq = Copper Equivalent calculated using $2.75/t Cu, $1.10/t Zn, $17.00/Oz Ag, $1250/Oz Au. Diamond drilling conducted on the Kutcho property for 2018 is by Cyr Drilling International of Winnipeg, Manitoba, using Boyles BBS-37 surface drills, with HQ diameter drill rods. All holes were oriented using an ACT III core orientation tool and after completion of the drill hole, holes were surveyed using a downhole gyroscopic tool from Terraplus Inc. of Richmond Hill, Ontario. Kutcho systematically inserts certified standards, blanks, and field duplicates consisting of half core samples into each batch of samples at regular intervals. Samples are placed in sealed bags and shipped directly to the ALS Minerals preparatory laboratory in Whitehorse. The 2018 samples are analyzed by ALS Global of Vancouver, British Columbia. Samples are prepared by crushing the entire sample to 70% passing -2mm, riffle splitting of 250g and pulverizing the split to better than 85% passing 75 microns. The core samples also undergo a robust duplicate assay program that tests rejects and pulps for reproducibility. Samples are also sent to an umpire lab. The gold assays are determined by Au-AA23 fire assay method which reports in parts per million (ppm) (equivalent to grams per tonne (g/t)). Any samples greater than 9.00g/t gold are analyzed by Au-GRA21 fire assay method with a gravimetric finish. Base metal assays are first determined using the ME-ICP41 method, which reports results as part per million (ppm). All analyses that reach the over-limits of ME-ICP61 are reanalyzed with an Ore Grade method. The analytical results are verified with the application of industry standard Quality Control and Quality (QA/QC) procedures.